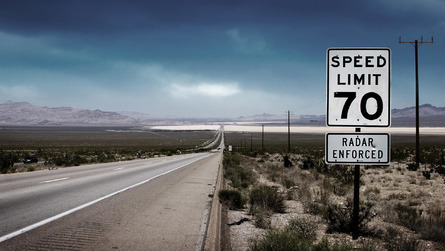 Unusual takes on Honda’s new models make a debut in Las Vegas. 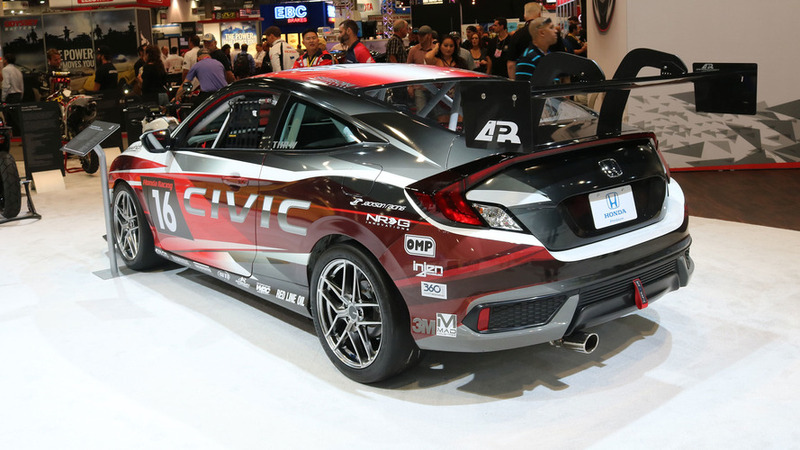 There’s no doubt that the Civic Type R prototype grabbed most of the attention at Honda’s 2016 SEMA show stand, but Honda also had plenty of other modified cars on display. 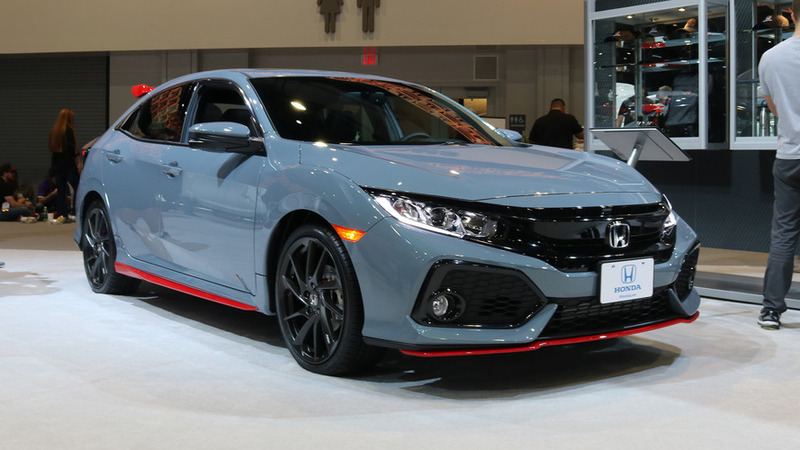 Several Honda Civic and Ridgeline concepts hinted at the way passionate customers might tweak or customize their cars with parts both from Honda and from the aftermarket. 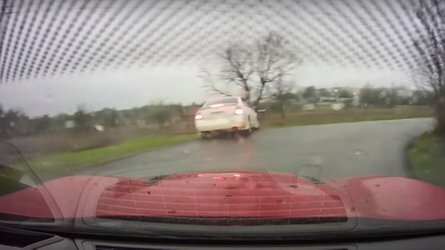 After all, the Civic has long been one of the most commonly customized cars out there – especially when the tuning scene exploded in the 1990s and early 2000s. 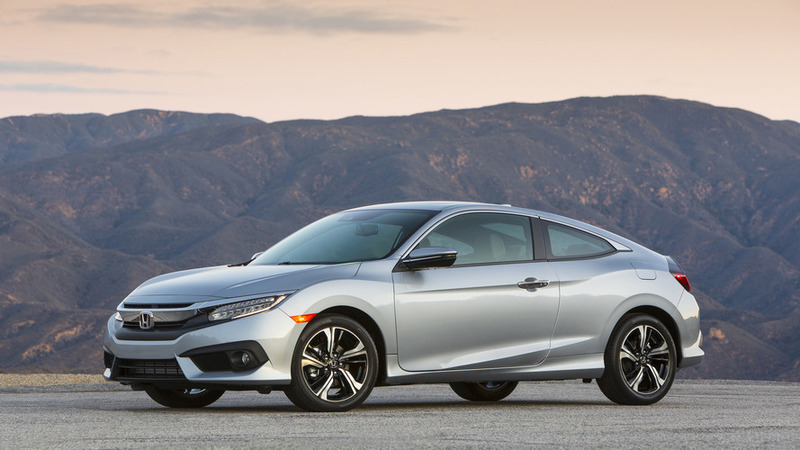 The new Civic Hatchback will have plenty of potential for budding tuners, even if they stick within the Honda realm. This concept car wears parts from the in-house Honda Factory Performance (HFP) brand, including a bright-red rear spoiler, 19-inch wheels hiding new cross-drilled brake rotors, red splitters and side skirts, and various HFP badging. 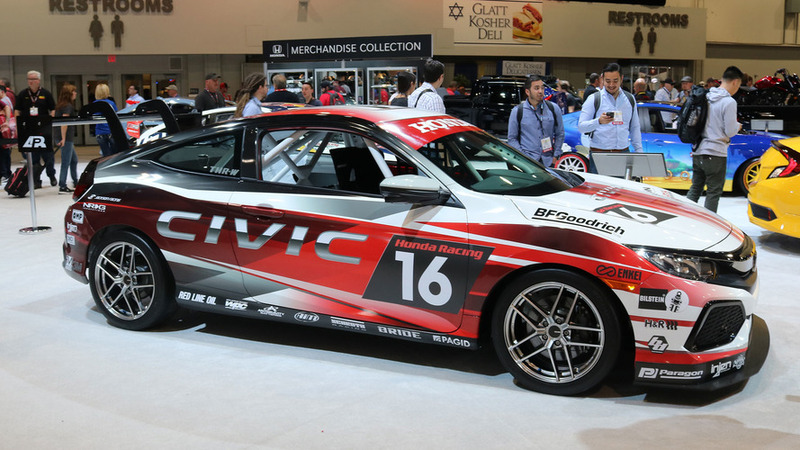 This race car was designed by actual Honda engineers to get an idea of how to take the newest Civic Coupe racing. 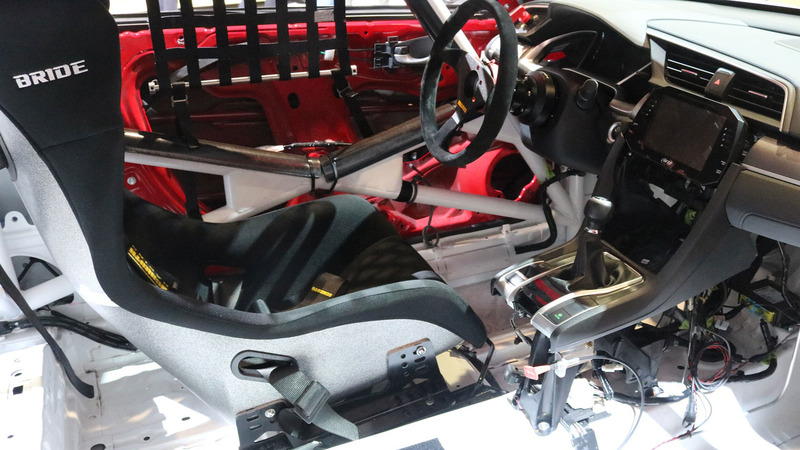 It has a full FIA-spec roll cage inside, a lightweight battery, a new intake and exhaust from Injen, a new radiator, and a Jackson Racing oil cooler. 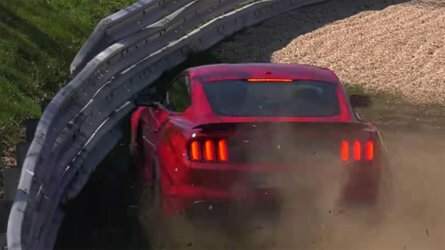 New suspension pieces and brake lines come from Honda Performance Development, and work along with Alcoa brakes, Bilstein shock absorber, H&R springs, and various other safety and durability upgrades. Best of all, this racer isn’t just for show: this exact car will go racing at the 25 Hours of Thunderhill in December. 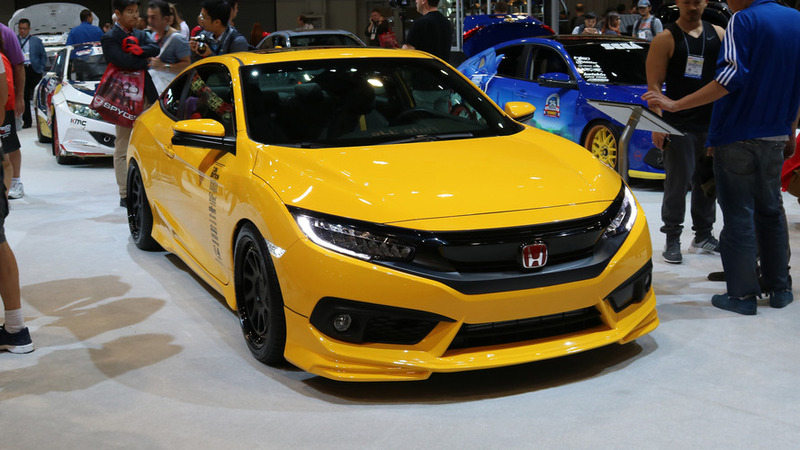 On the other hand, Honda showed off what happens when tuning companies get hold of the tenth-generation Civic. 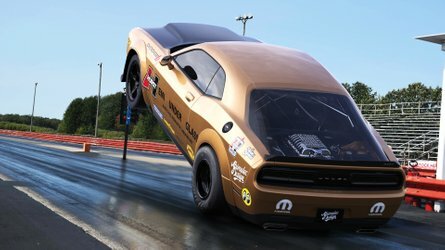 This one, by MAD Industries, has a new intake, exhaust, and engine map for the 1.5-liter turbocharged inline-four, bumping power from 174 horsepower to 200 hp. Eibach suspension lowers the car by 1.5 inches, and 19-inch wheels wear sticky Toyo Proxes T1R tires. Visual upgrades include things like custom paint and carbon-fiber aerodynamic parts. 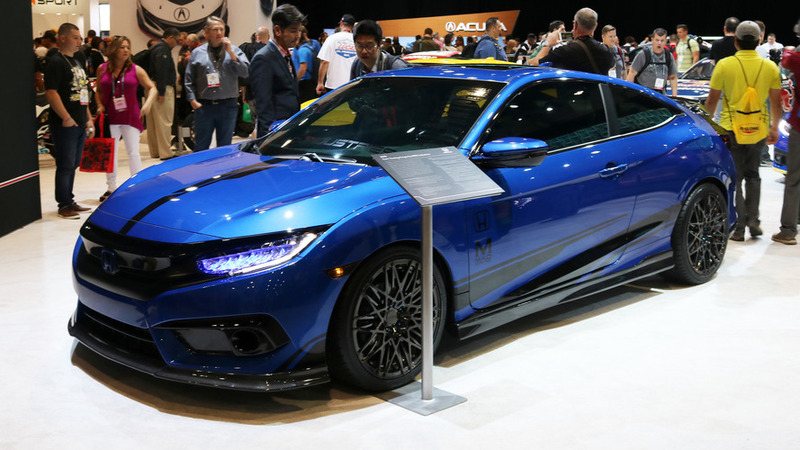 This is a milder take on the new Civic two-door, with modifications limited to 18-inch Rotiform OZT wheels, new Baer brakes, BC Racing coilover suspension, and side skirts and a rear lip from the HFP catalog. 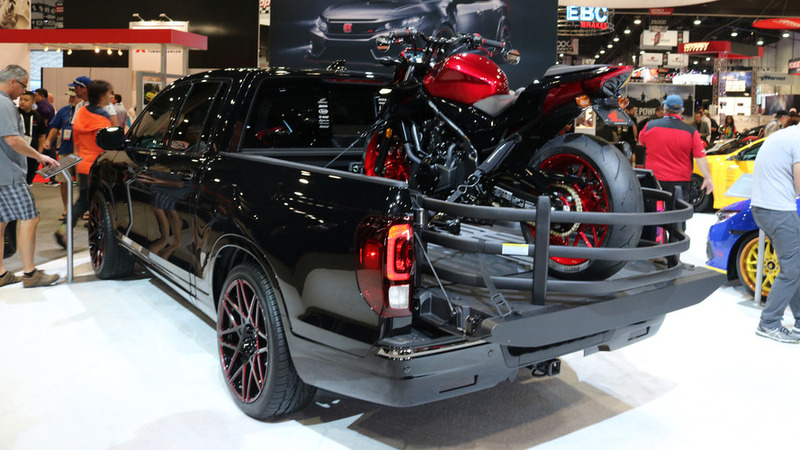 As for the Honda Ridgeline, MAD Industries blended style with the utility necessary to transport a Honda CB500F motorcycle. Big changes include an Eibach suspension kit that lowers the Ridgeline by 1.5 inches, new 20-inch wheels, and an upgraded sound system. The CB500F, meanwhile, also nets various carbon fiber accessories. Finally, Honda brings it back to the dealership by showing off a range of dealer-installed accessories that will be offered for the new truck. 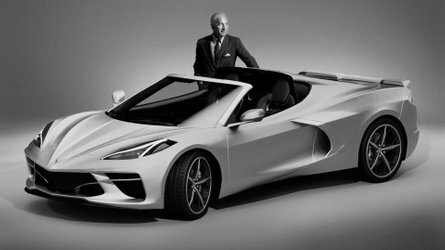 The bed extender, new bodyside moldings, tonneau cover, roof rails, running boards, and carbon-fiber grille insert are all production parts. 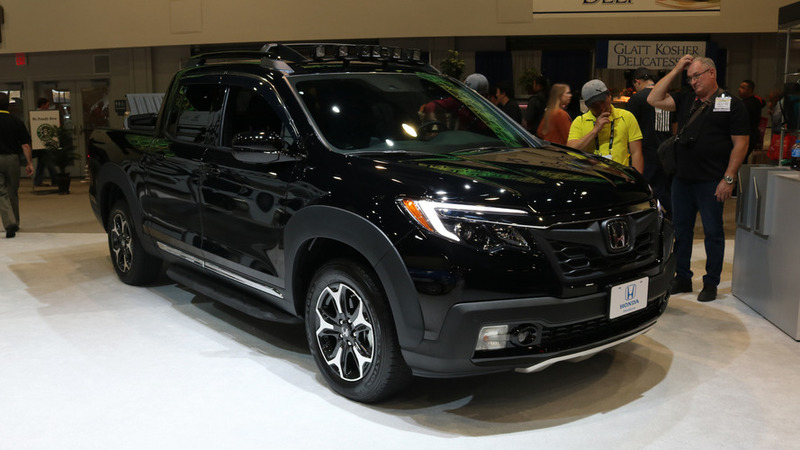 The Ridgeline also wears several concept pieces, including the LED light bar atop the roof and new LED foglights.